Warren Buffett made the news – again – saying Barack Obama should approve the Keystone XL pipeline. More wasted breath, if history is our guide. Since entreaties, Congressional pressure, and Canadian complaining haven’t convinced the President, is it time for a new approach? The old one isn’t working. 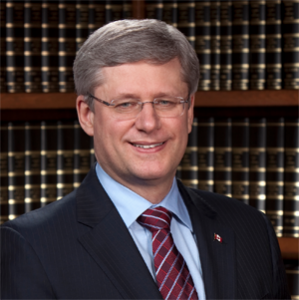 Canadian Prime Minister Stephen Harper has so hectored Obama in meetings and in the media, there is now clear – and probably unresolvable – animosity between the two leaders. Various Alberta premiers have trooped to Washington hoping to advance TransCanada’s proposed 1,179 mile pipeline from Alberta to the Gulf Coast of Texas. Gary Doer, the Canadian Ambassador to Washington, talks of almost nothing else but Keystone XL. TransCanada CEO Russ Girling regularly wrings his hands and sighs, telling reporters maybe THIS time Obama will come to his senses. That’s the insipid and completely ineffective Canadian approach. The American strategy has been more cantankerous, but ultimately just as ineffective. While Republican leaders were busy authoring a bill to force Obama to approve Keystone XL, the White House was busy telling everyone who would listen that the President would veto it. Which he did when it landed on his desk, arguing that the bill usurped Presidential authority. ”The president’s veto of the Keystone jobs bill is a national embarrassment,” said the top Republican in the House of Representatives, John Boehner. 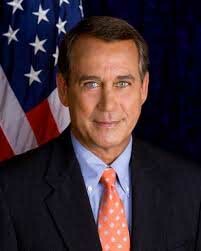 What Boehner means is that the GOP will probably cobble together another bill and try to dredge up enough votes to override the presidential veto. That effort will most likely fail, but maybe the Republicans don’t care all that much because they’re the beneficiary of all that TV face time after the next veto. And probably the veto after that and the veto after that until the 2016 election campaign puts an end to what has been some really awful political theatre. So, let’s stop right here and ask a simple question: What can be done differently? On the Democrat’s side, a lot less fact fudging and a little more realpolitik. Yes, we all know Obama is pressured from the hugely influential Big Green lobby – the folks allergic to facts, science and engineering – and environmentalist Congressional Democrats. And we acknowledge the President likes that cool renewable energy technology all the hip kids are talking about. Let’s also not forget he’s so worried about his environmental legacy he’s cleverly arranged to set the Environmental Protection Agency against the State Department to counter the technical – and quite logical – arguments in favour of Keystone XL. Thus far, Obama is so dug in it would take a bunker buster to reach him. A big-time campaign donor like Buffett isn’t going to get the job done. But there is one approach no one has yet tried. It might be quite unthinkable in today’s political climate. Radical, almost, though hardly revolutionary. Give Obama something he wants. Yes, good old-fashioned bipartisan horse-trading. You know, the foundation of American government for two centuries. The lubrication that makes two-party political machinery work smoothly. 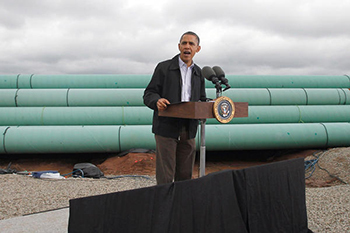 If Keystone XL is to proceed, both parties must compromise. Unfortunately for the Republicans, they’re in the position of wanting something from the President. Anyone who’s negotiated a business deal – or bought an old record at a garage sale, for crying out loud – knows who has the leverage in that situation. If the Republicans want Keystone XL, they’re going to have to give up something. What might that something be? I have no idea. After six-plus years of battling Obama’s legislative agenda at every turn, there must be a long list to choose from. Immigration reform? Climate change? Free community college? Cuba trade embargo? Whatever. GOP and Democratic leaders can work out the specifics. But if Keystone XL supporters think the President is going to give in on a major Republican demand without getting something in return, they haven’t been paying attention. The Oracle of Omaha knows how to put together a deal. Maybe Boehner and friends should ask him for a few pointers. If things continue as they are, it will be 2017 (at the earliest) and a new president before there is an answer on Keystone XL. And that would be an unnecessarily wasted opportunity. Is Alberta prepared for more aggressive global policy (thanks to IPCC forecasts) to restrict consumption of crude oil?